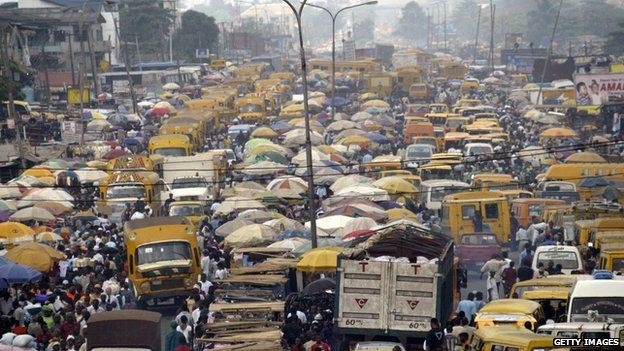 Nigeria ranks low in investors' choice list - (Google Photo). As far as the Nigerian economy is concerned, many would argue that Nigeria has moved 10 steps backward in the last 3 years. First, the economy went into negative growth, for the first time in 25 years, then recovered with a marginal growth after more than a year. Growth has been rather too slow ever since, with the economy recording 0.45% lower growth in Q2 of 2018 compared to the 1st quarter. But the government believes the economy is on the right path. In fact, during his speech to mark the 58-independence anniversary on Monday, the President beat his chest, enumerating his economic accomplishments. 1. Recovery of Stolen Funds: Truth be told, Buhari’s government has recovered more looted assets and cash than any other government before it. Although it is still arguable if his government has a good account of the recovered funds, it tops his list of economic achievements. He said: “We are making progress in the fight against corruption and recovery of stolen public funds and assets despite vicious and stiff resistance. 2. Infrastructural Development: When it comes to infrastructure, Buhari’s government has invested in several projects. But such investments have raised Nigeria’s debt profile to a worrisome level. Buhari beats his chest, saying that his government “has done more with less in infrastructural developments”. “Roads, railways, major bridges, schools, energy and power, air and sea ports, welfare of serving and retired personnel both civilian and military including payment of legacy debt such as pension arrears, have been attended to,” he boasted. 3. Enabling Environment for Investors: “There is now an enabling environment for local and foreign investment in Nigeria. We are building a rules-based system – a level playing field that is free from fixers and intermediaries. “This is the cornerstone to help genuine investors and honest consumers, and the platform that will allow for the real reforms that we intend to deliver over the coming years,” Buhari said during his speech. 4. Stable Naira: Undoubtedly, no one can take this away from Buhari’s government. Although the hesitation to devalue the naira dealt a deadly blow to the local currency, the government embarked on a series of sustained interventions that has now led to a certain level of stability in the foreign exchange market. As a matter of fact, for the first time in three years, the market is beginning to see a possibility of an end to multiple exchange rates. And this was what prompted President Buhari to assert that his government is “gradually strengthening the economy with a stable Naira and falling inflation rate”. As great as this sounds, it gives little reason to celebrate given that in 1960 when Nigeria gained independence, the naira exchanged for 60 Kobo to one dollar. But 58 years down the lane, we are celebrating an exchange rate of 360 naira to one dollar.